Hill View follows the Dorset Standing Advisory Council on Religious Education. 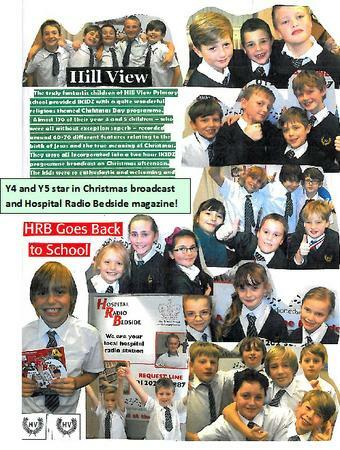 As a school without a religious designation, Hill View must arrange for Religious Education (R.E.) to be taught to all pupils in accordance with the requirements for agreed syllabuses i.e. a syllabus that reflects that the religious traditions in Great Britain are, in the main, Christian whilst taking account of the teaching and practices of the other principal religions represented in Great Britain. In addition to this statutory element, Hill View firmly believes that all children deserve time and opportunity to explore their own spirituality and to develop their own understanding of how faith and religion shape the lives of many individuals and societies around them. ENGAGEMENT: What is my own experience in my own world that might help me relate to the religion/ worldview in this enquiry? INVESTIGATION: Can I find out the information I need to enable me to answer the key question/s of this enquiry? EVALUATION: Can I critically reflect on the key question/s and possible answers and substantiate with evidence from the knowledge I gained in step 2? EXPRESSION: Does what I’ve learnt in this enquiry change, strengthen or make a difference to my original starting point in step 1? This enquiry approach enables the acquisition of knowledge and encourages the progression of pupils’ critical thinking skills, as well as their spiritual and moral development, and thereby promotes respect for themselves and others, as well as the love of learning. Christianity is taught in both Key Stages, along with other principle religions (Buddhism, Hinduism, Islam, Judaism or Sikhism) in each Key Stage. R.E. is taught in blocks on specific days during the school year. Where possible, visits to local places of worship are organised to support pupils’ understanding. Representatives of different faiths are also invited to provide workshops to enhance the pupils’ experience and understanding.